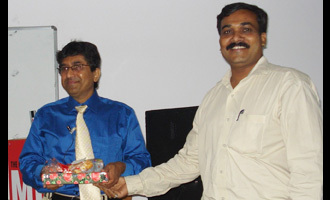 MET Institute of Medical Sciences organized a guest lecture for the students of ADPBM and ADTAC on 11th Feburary, 2010 by Mr. Sandeep Chonkar, Event Manager. He has delivered many motivational speeches on habits, time management, auto suggestion, etc. He has also published a book in Marathi titled ‘Vichar badla, Jag badlel’.